Comfort Sync Thermostat When you pair this model with the Comfort Sync thermostat, the system will continuously monitor internal components for optimum performance. When Comfort Sync detects that repairs and regular maintenance are needed, it alerts you or your dealer instantly via email. 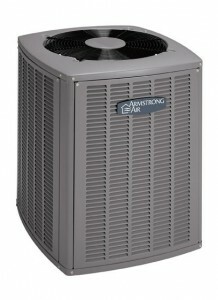 16 SEER Efficiency Rating SEER (Seasonal Energy Efficiency Ratio) rates the energy efficiency of your cooling equipment. The higher the SEER rating, the more efficiently your unit operates, saving you money on utility bills. 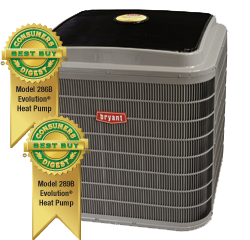 8.5 HSPF Efficiency Rating HSPF (Heating Seasonal Performance Factor) rates the energy efficiency of your heat pump. The higher the HSPF rating, the more efficiently your unit operates, saving you money on utility bills. ENERGY STAR® Qualified The ENERGY STAR program is a joint program of the U.S. Environmental Protection Agency and the U.S. Department of Energy helping us all save money and protect the environment through energy-efficient products and practices. Quiet Shift™ Technology Allows heat pumps to enter defrost mode without excessive noise. Since refrigerant pressure is allowed to equalize before the switch, the heat pump can dissipate performance-robbing frost and ice quietly.